Michelle Major. 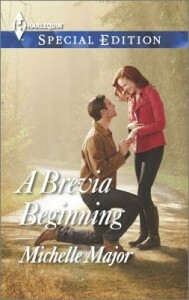 A Brevia Beginning. Don Mills, Ontario: Harlequin, 2014. From the day she was adopted at six years old, Lexi Preston has done everything she can to be the perfect daughter to her adopted father, Robert Preston – this includes following in his footsteps to become a lawyer in his firm. All of that ended when Lexi went behind her father’s back and gave the opposing client information. The Prestons’ clients, Mr. and Mrs. Johnson, were trying to dig up dirt on Julia Morgan, the mother of their grandchild, so that they could gain custody of their grandson Charlie. Taking note of how Julia kept fighting even with all the odds piled against her, Lexi decided to help her out, knowing that it would mean “hell to pay.” When Robert Preston found out, he publicly humiliated Lexi and kicked her out of his life. 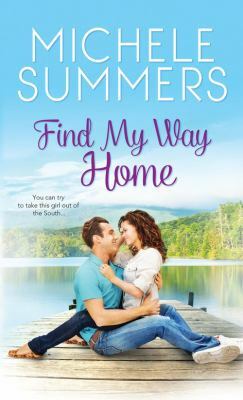 With nowhere else to turn, Lexi travels to Brevia, North Carolina in search of Julia, who is now Julia Callahan and married to the police chief of Brevia. Julia isn’t too keen on helping out the woman who made her life a living hell during the custody battle, but she wouldn’t have ended up being able to keep her son Charlie if it wasn’t for Lexie. So, she offers to get Lexie a job working at Riley’s Bar. 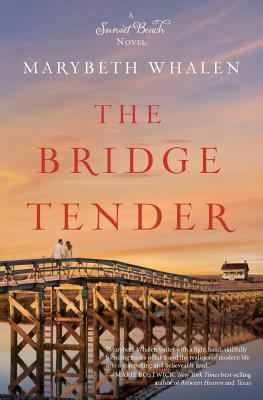 United States Marshal Scott Callahan is in need of some time away from it all after losing his partner during a botched arrest. Not ready to face the interrogation from the Marshals office or the constant questions from others, Scott finds himself at Riley’s Bar in the hometown of his father, Joe, and brother, Sam. Also not ready to face his family, Scott decides to drown his sorrows for a while. Scott ends up in an argument with the bar owner which results in Scott buying the bar, with the help of a legal contract drawn up by one of the waitresses, Lexi Preston. Lexi is the worst waitress the town has ever seen. After Scott recovers from his drunken night, he and Lexi make a deal – Scott gets to share her two bedroom apartment and Lexi won’t hear mention of her getting fired for the month she plans to stay. Sparks flew between the two on the night they first met; the close quarters instituted by both working at the bar together and living together only adds fuel to the fire. However, this arrangement is only temporary. Scott knows his greatest talent is the ability to mess everything up. He can’t expect to ever be good enough for Lexi. On the other hand, Lexi has never been on her own. She doesn’t know if she can make a life without her father, but this may be just an adventure that will end when her father is ready to take her back. When Lexi stands up to her father, letting him know that she won’t be coming back, will Scott be able to give up the action of U.S. Marshals Service and settle into the small-town life? A Brevia Beginning is the third novel set in the fictitious town of Brevia North Carolina. The series continues to show that small-towns can have big-city action. Elizabeth Spann Craig. Progressive Dinner Deadly. United States: Elizabeth Spann Craig, 2013. Myrtle Clover and her best friend Miles are planning a coup in the fictional town of Bradley, North Carolina. Today at book club, they’ll suggest the reading of actual literature. Myrtle even has a back-up plan, in case things aren’t looking too good for this suggestion. What Myrtle didn’t plan for is for her horrible neighbor, Erma Sherman, to chime in when the question of changing the book club is brought up. Erma proposes a supper club, making it look like Myrtle was hinting at this suggestion. Myrtle wishes Erma would focus on the crabgrass that keeps creeping over into Myrtle’s yard and keep her proposals to herself! Nevertheless, the suggestion of a supper club is met with enthusiasm all around –even Miles is looking excited. Many in the group are even more enthusiastic for the idea of a progressive dinner, a dinner in which the group will go from house to house throughout the night, enjoying different courses at different houses. Myrtle is completely against this idea until she is complimented on her blackberry cobbler and asked to host the dessert portion of the night. The supper club is off to a rowdy start when guests who weren’t even a part of book club show up at Miles’s house. The event soon takes a turn for the worse when Jill and her sister, Willow, get into an argument over Jill’s husband’s taste for drinking. After that, the night continues to deteriorate, from Willow’s house where the hostess isn’t there at their arrival and then rushes off, to Jill’s house where the group is greeted by a drunken Cullen, Jill’s husband. 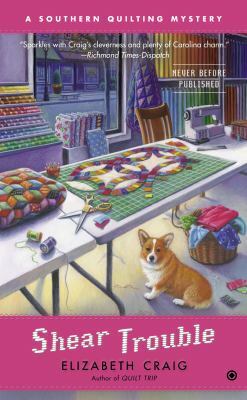 Nevertheless, that isn’t the worst of it–that comes when Myrtle finds Jill in the kitchen, lying in a puddle of blood. Myrtle is soon using her detective skills to search out the suspects, and she isn’t against relying on charitable acts to get close to them. Just as it seems like Myrtle has solved the case and avoided danger, there is an unexpected action that sheds new light on the murder. Will Myrtle be able to outmaneuver the suspects and solve this case before she ends up being the next victim? 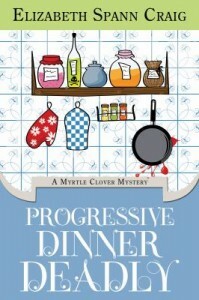 Progressive Dinner Deadly is the second book in the Myrtle Clover Mystery series. Originally published as an e-book, the printed version is now available. Octogenarian sleuth, Myrtle Clover got her first taste of solving crimes in Pretty is as Pretty Dies and it doesn’t look like this spry retired English teacher will be putting down her detective cane anytime soon. Janice Maynard. A Baby for Keeps. Don Mills, Ontario: Harlequin, 2014. Is it true that most of us are still haunted by our high school years? That’s certainly the case for Dylan Kavanaugh. Although Dylan was a good-looking athlete from a prominent family, his memories of his high school years are mixed. Dylan is dyslexic; reading was a struggle for him, a struggle he hid from his friends, if not his teachers. Knowing the seriousness of his disability, the school got him a tutor. Mia Larin was two years younger than Dylan, but she was off-the-charts bright and a quiet, patient person who helped Dylan through many assignments, including his memorable take on Romeo and Juliet. Dylan still cringes when he thinks how he treated Mia. Imagine Dylan’s surprise when Mia shows up back in their hometown–with a baby but no husband. In the years since high school, Mia went on to get two doctoral degrees. She was working as a medical researcher in the Research Triangle of North Carolina when she heard her biological clock ticking. With no man in her life and a job that she thought was secure, Mia decided to have a child through artificial insemination. Now she has lovely little Cora, but the funding for her lab dried up, and she is close to broke. She has come back to the little mountain town of Silver Glen to regroup. Once Dylan learns about Mia’s situation, he springs into action. He sees helping her–with a job and a place to stay–as a way to ease his conscience over how he treated her in high school. But Mia’s not the shy, young nerd she was in high school. She has her pride–and she has quite a nice figure. Mia had a crush on Dylan in high school, a crush that he never noticed. Now, as grownups there is a mutual attraction, but should they act on it? This being a romance, they do, but that’s not the end of it. Self-images formed in high school, professional setbacks and opportunities, and Dylan’s fear of fatherhood make a long road to happily-ever-after. Janice Maynard. A Not-So-Innocent Seduction. Don Mills, Ontario: Harlequin, 2014. When Zoe Chamberlain’s VW bus, Bessie, breaks down in Silver Glen, North Carolina, Zoe takes it as a sign that it’s time to kick back for a while. Zoe is constantly on the road and has spent many nights sleeping in Bessie, so booking a room at the Silver Beeches Lodge for six weeks straight is a huge indulgence. The most Zoe expected was to enjoy pampering at the lodge and to have time to explore the beautiful town of Silver Glen. Zoe gets much more than she bargained for in the form of one of the owners of the Silver Beeches Lodge, Liam Kavanagh. Life on the road can get really lonely, and there might be more to explore here than just the town. Liam Kavanagh has lived in Silver Glen all of his life – his ancestors actually helped to build the town. Since the death of his father, while Liam was still a teenager, Liam has shouldered his family, including his mother, a multitude of siblings, and the family business, the Silver Beeches Lodge. Liam loves his job and the fact that he has loads of family right down the road, but there just has to be something more. Then Zoe Chamberlain walks into the doors of the lodge and takes his breath away. Liam knows he just has to get to know her, but that’s easier planned than accomplished. Liam is a handsome man and Zoe is interested. The two of them start to spend time together, but where Liam shares himself with Zoe, she continues to hold back. 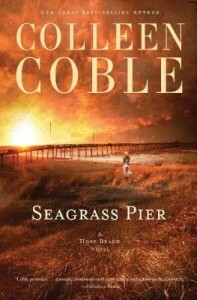 Now, Liam knows how secrets and the pull of mystery can lead to devastation–he witnessed it with his father. So, how can he be falling in love with Zoe when he doesn’t believe he can trust her? 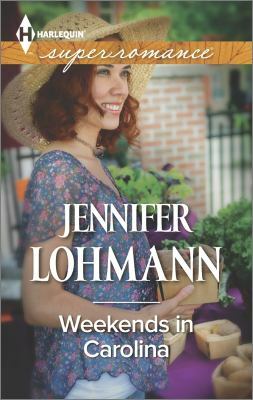 Zoe is enjoying her time in Silver Glen and the man she’s spending time with, but the problem is that time runs out. 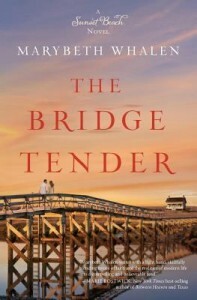 It is only a matter of time before she’s discovered and has to move on, but how can she leave the place and the man that are just beginning to feel like home? A Not-So-Innocent Seduction is the first novel in The Kavanaghs of Silver Glen series. The second novel in the series is Baby for Keeps; it tells the tale of Dylan Kavanagh, who plays a part in helping his big brother Liam take a chance on his love for Zoe.